Ashland’s hidden gem of a neighborhood. You will not see many settings as nice as this one right in town. Enjoy the peace and privacy of country living only a few short blocks to all amenities. This updated light filled house has a south facing living room that opens up into a spacious backyard. 4bdr/2bth wood and tile floors. Downstairs can be a large master suite, or has been used as a short term rental. Creeks on 2 sides. Irrigated. Please, send me more information on this property: MLS# 19022899 – $650,000 – 300 Normal Ave, Ashland, OR 97520. 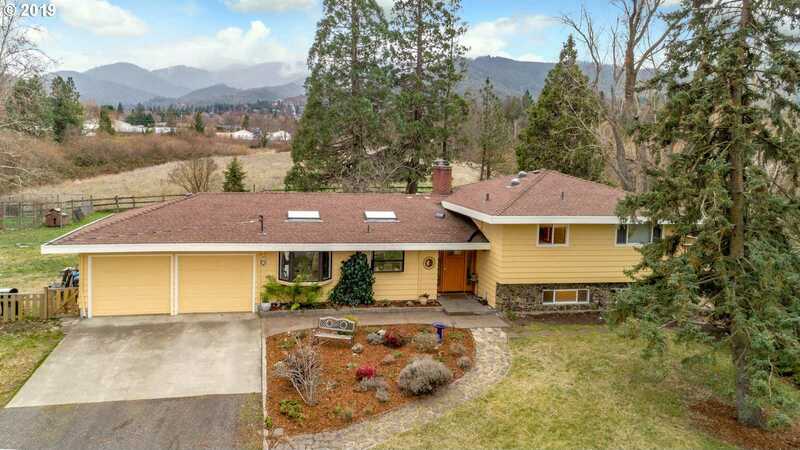 I would like to schedule a private showing for this property: MLS# 19022899 – $650,000 – 300 Normal Ave, Ashland, OR 97520.